Asbestos is a group of strong and heat-resistant minerals, widely used to strengthen or insulate products prior to the 1980s. Today, we know that asbestos is extremely toxic and can cause a variety of diseases, even death. The most common way for asbestos to enter the body is through breathing. Once small asbestos fibers get into the lungs, they remain lodged there, paving the way for long-term health problems. Although many manufacturers knew asbestos products were hazardous in the 1920s, they hid the health dangers from workers and the public. The federal government finally began to limit use of asbestos in the 1970s. Manufacturers continue to wage legal and public relations battles to avoid accepting responsibility. Some have lobbied Congress to enact special-interest laws to protect asbestos companies from claims by the people they have injured. Some modern American guidelines allow asbestos to be used in some products so long as the concentration does not exceed one percent. Many products manufactured overseas have even higher concentrations. While no asbestos exposure is considered “safe,” those who face the highest risk today probably live or work in old buildings that contain asbestos products (insulation, paints, piping, etc.) manufactured before today’s regulations were created. 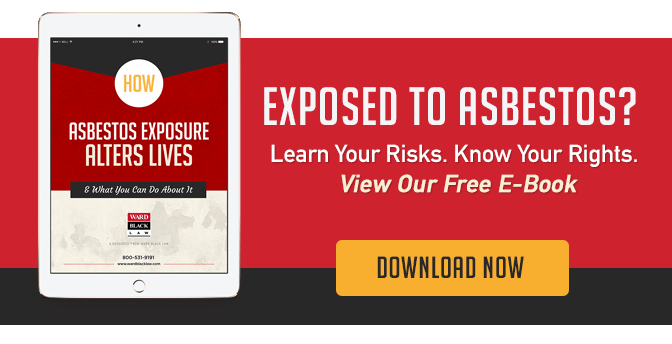 Download our free e-book, How Asbestos Exposure Alters Lives — And What You Can Do About It. If you’ve been exposed to asbestos at work or at home or have been diagnosed with mesothelioma, lung cancer, digestive tract cancers or asbestosis, call or text us today to reach one of our experienced lawyers: 1-877-256-1214.